The time it takes to remove asbestos from a building varies greatly from project to project. Factors such as the amount of asbestos to be removed, access to the asbestos, materials required for removal and equipment logistics, all contribute to the timeframe in which a removal can be completed. Then there is the abatement period which must be enforced to ensure that a property is safe to enter. Many clients forget it is important to cleanse the air of a property in which asbestos has been handled to minimise the risk of airborne asbestos fibres. This process takes up time, but it is time well spent to guarantee a safe removal. Let’s look at the other variables that will affect the length of your asbestos removal. Depending on how severe your asbestos problem is, you may not have to vacate a domestic property at all. Rooms can be sealed with industrial plastic sheeting whilst works are underway. Of course, the feasibility of this plan is different from project to project. It is most common for homeowners to be away while asbestos is being removed, and this is always the safest option. Very small amounts of asbestos can be removed within a day, but the abatement period of the removal is extremely important. Abatement periods of 48 hours ensure there are no harmful asbestos fibres suspended in the air around the property. 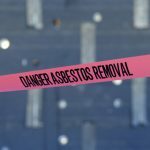 Sizable projects involving larger volumes of asbestos can take up to a week to ensure safety standards are met and the abatement periods for these projects will increase proportionally. Every project has its own timescale, because safety must come first when dealing with hazardous materials such as asbestos. Before an asbestos removals team can vacate a property and declare it safe to inhabit, the air quality must be tested to minimise the risks of airborne asbestos fibres. The standard measurement of air quality that must be achieved is less than 0.01 fibres per cubic centimetre (cc) of air. 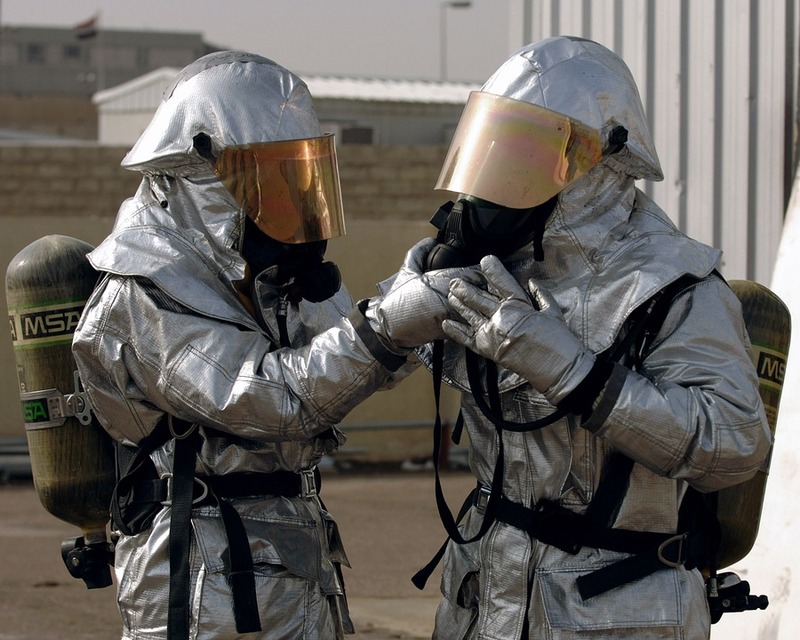 To guarantee peace of mind, it is recommended to have an asbestos removal site independently tested after a removal has taken place, to make sure that hazardous materials are no longer present in the property. Asbestos is rated as a hazardous material due to the many serious health conditions that it can cause, including mesothelioma and various cancers. 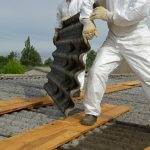 With this in mind, the major concern of all asbestos removals and asbestos disposal is the safety of dwellers, asbestos removals engineers and surrounding neighbours. To get a precise timeframe on your asbestos removal, have a reputable contractor provide you with a quote for removal and enquire about the time required to complete the job. The very best contractors will provide free site surveys, so you can secure a free quote and make an informed decision about your asbestos removal needs. Asbestos Waste Solutions have over 20 years of experience providing comprehensive asbestos disposal services. This includes asbestos waste disposal, skip hire, waste audit, temporary storage, supplies and much more. We serve domestic and commercial customers locally across Essex county and nationally throughout the UK. Our products and services adhere to the highest safety standards, so whether you are an asbestos removals company, building contractor or a member of the public, you know that Asbestos Waste Solutions are the premier choice. Contact our team today, to learn more about what AWS can do for you.